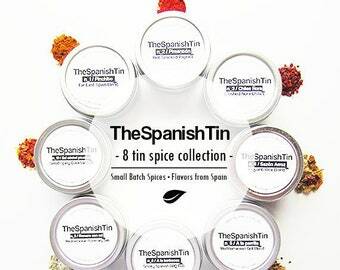 Announcement The Spanish Tin features a collection of handmade premium quality spices inspired by kitchens throughout Spain. 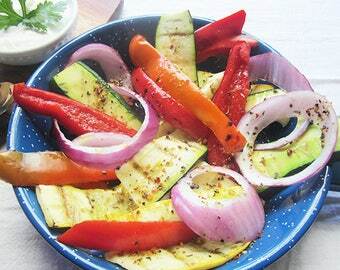 Reinvent your weeknight meals with Spanish flavors. As special gifts for the discerning foodie or for your own spice pantry - our entire spice collection is made with 'gusto'! Best of all, our small batch blends are non gmo and do not contain msg or additives, are non irradiated, and are sourced farm to fork! 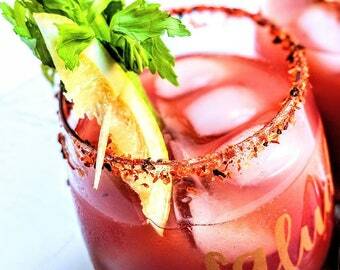 *Our Spiced Sangria Kit was featured in West Elm stores nationwide in 2014! 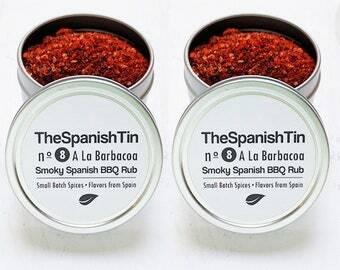 The Spanish Tin features a collection of handmade premium quality spices inspired by kitchens throughout Spain. Reinvent your weeknight meals with Spanish flavors. 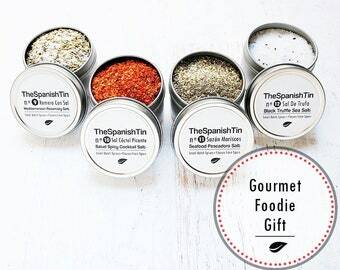 As special gifts for the discerning foodie or for your own spice pantry - our entire spice collection is made with 'gusto'! I love these spices. They are fantastic in rice dishes. 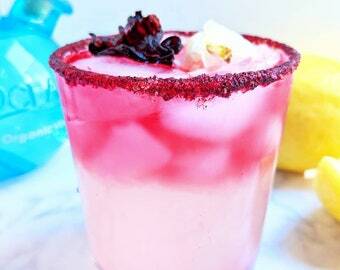 Adds nice flavor to margarita - arrived quickly and with no issues! Yes Easter is coming but so is Mother's Day! Sunday May 12th to be precise. 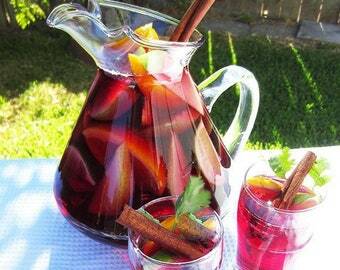 Buy her favorite wine, a glass pitcher, some oranges from the Farmers Market, and our Spiced Sangria Kit. She'll love you forever! 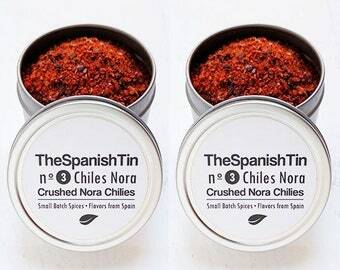 Getting ready to launch our new 'Cooking Vegan Tapas Trio' in larger size pouches....and features a new blend: n6 Olé Chipotle...we're excited! Set will include our very own tapas recipes (vegan/vegetarian) and a gift bag! Stay tuned for the release date! Hi, I'm Nydia! My Spanish Basque heritage and our 3 year residency in Spain led to the inspiration behind the shop! We love to do in person events! Here we are at Claremont Earth Day. 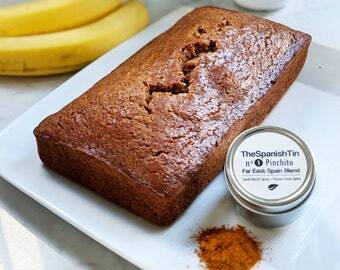 Our spice collection is handmade, sourced farm to fork, and is non-gmo, no msg, no additives, and vegan friendly. 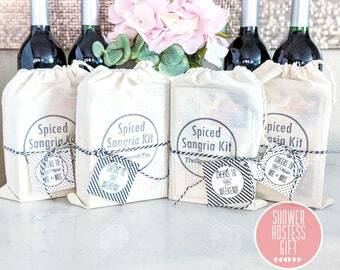 Our Spiced Sangría Kit is one of our best sellers. Proud to share it was picked up by West Elm in Spring 2014. We make our small batches in a commercial kitchen in Chino, CA. 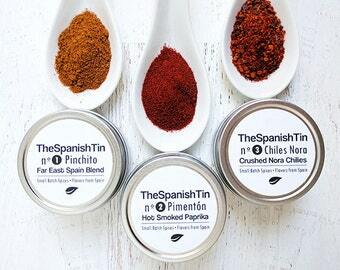 A little about how it all began... My name is Nydia, owner of The Spanish Tin. I was born and raised in Southern California, but my father is Basque, from the Northern region of Spain, and my family has always embraced that side of our heritage. I traveled often as a child and we would spend our summer vacations in the Basque country - I fell in love with the lifestyle and the food. In 2006, my husband and I made the leap and moved to Valencia, Spain. The economic crisis in Spain was quite challenging, so after three years living there and traveling throughout Spain and Europe, we decided to return to the California. Happy cooking and buen provecho! Nydia A Sanchez and family! Additional info: We are in full compliance with California health/food laws. Registered with the FDA. Small batches are prepped in a commercial kitchen in Chino, CA, Permit #PT0029730. Food handler certified. Are your spices non gmo? 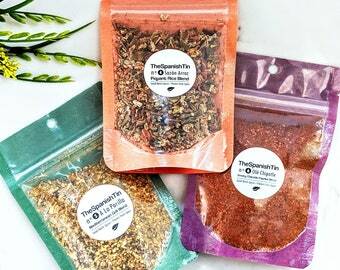 Yes, our small batch spices are non gmo, no msg, and do not contain additives. I don't know how to cook Spanish food? How can I use these at home? 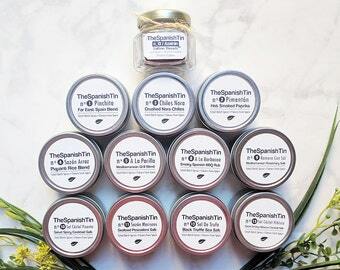 Whether you are familiar with Spanish cuisine or not, our spices allow you to incorporate the various flavors from Spain into your everyday cooking. Quick recipe tips are included. 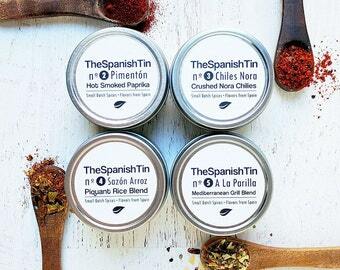 Are the metal tins food safe? Yes, not only are they food safe, but they are also USDA approved. In addition, we work to create our small batches from a certified commercial kitchen (not out of the home). This ensures food safety. Currently, we ship within the United States. Do you wholesale to specialty food boutiques? Do you accept corporate orders? Yes and yes. 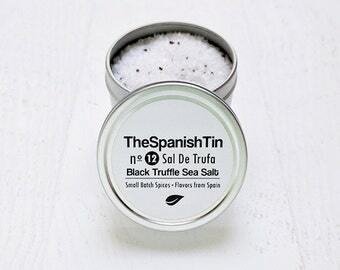 For more information, please email us at: thespanishtin@gmail.com. My package says it's been delivered but I can't find it. What do I do? 1. Check the shipping address on your invoice & make sure it is correct. 2. Look for a paper notice of attempted delivery at your door or in your mailbox. 3. Check your porch, backdoor, or management office of your apartment building...sometimes they are left in unusual places! 4. It may have been delivered to a neighbor - perhaps they accepted the delivery.